Born in 1853, Sir Frederick Treves, 1st Baronet GCVO CH CB FRCS was a leading Harley Street surgeon who pioneered appendix surgery and counted Joseph Merrick (Elephant Man) and King Edward VII as his patients. The son of a Dorset upholsterer, Treves attended a local school before joining Merchant Taylors' School and London Hospital Medical College. He passed the membership examinations for the Royal College of Surgeons of England in 1875 and in 1878 for the fellowship of the Royal College of Surgeons (FRCS). He became a surgeon and was renowned for his expert knowledge of anatomy. Treves specialised in abdominal surgery at the London Hospital and is credited with performing the first appendectomy in England in 1888. He was appointed a Surgeon Extraordinary to Queen Victoria and a Knight of Grace of the Order of St John. In 1884, Treves was first introduced to Joseph Merrick, known more commonly as the Elephant Man, with whom he developed a close friendship. Merrick was being exhibited by showman Tom Norman in a shop opposite the London Hospital and was brought to the London Hospital where he lived until his death in April 1890. Treves' friendship with Merrick has become the subject of several literary dramatisations, such as the play The Elephant Man in 1977, as well as David Lynch's 1980 film, in which he was portrayed by Anthony Hopkins. In a recent episode of the BBC's historical crime drama Ripper Street, Treves appeared as a character in an episode that featured Joseph Merrick. 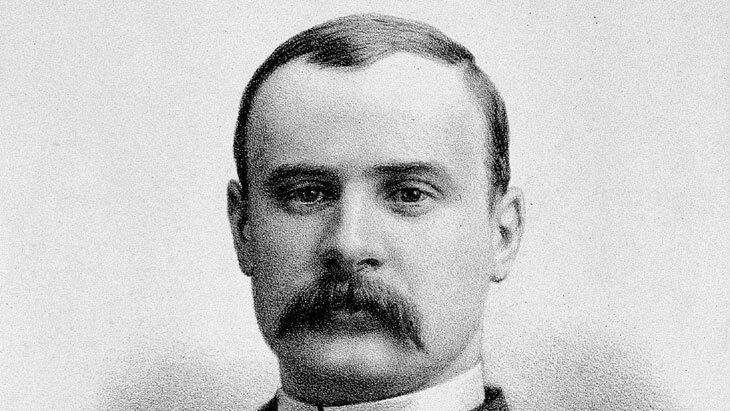 Sir Frederick Treves was also renowned within the world of surgery for his treatment of appendicitis. He is credited with saving the life of King Edward VII in 1902 shortly before his coronation. The King was against surgery as appendicitis had high mortality rates. Treves was able to convince the King that, without surgical intervention there would be a funeral rather than a coronation. He performed a daring operation of draining the infected appendiceal abscess through a small incision and leaving the appendix intact with the help of fellow surgeon Joseph Lister. During the Second Boer War, Treves volunteered to treat wounded soldiers at a field hospital in South Africa treating the wounded. His ties with the Forces became closer in 1902 when he became medical officer to the Suffolk Yeomanry. He subsequently accepted the appointment as Honorary Colonel of the Royal Army Medical Corps (Militia). In late March 1901, Treves was appointed one of several Honorary Serjeants Surgeon to King Edward VII, and in May the same year was knighted as a Knight Commander of the Royal Victorian Order (KCVO). Why you should get a hair transplant in the UK.